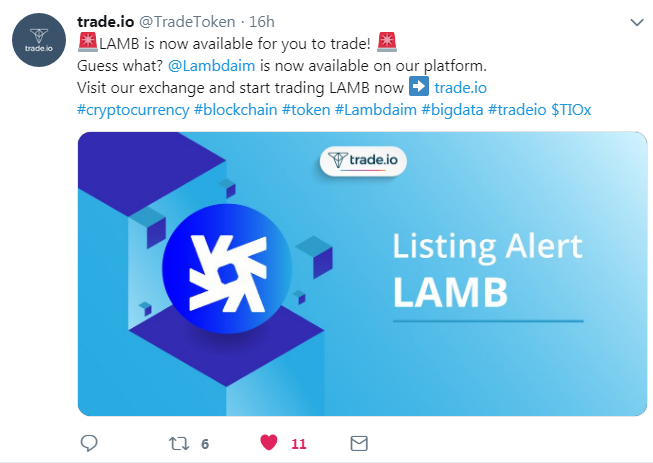 We at Lambda aim to build a disruptive blockchain based storage solution that provides unlimited storage capabilities and a marketplace on top of the blockchain, what motivates us the most is your trust and support. The following are our progress in these two weeks, enjoy reading. Browser added new chart module with its theme style selection in. 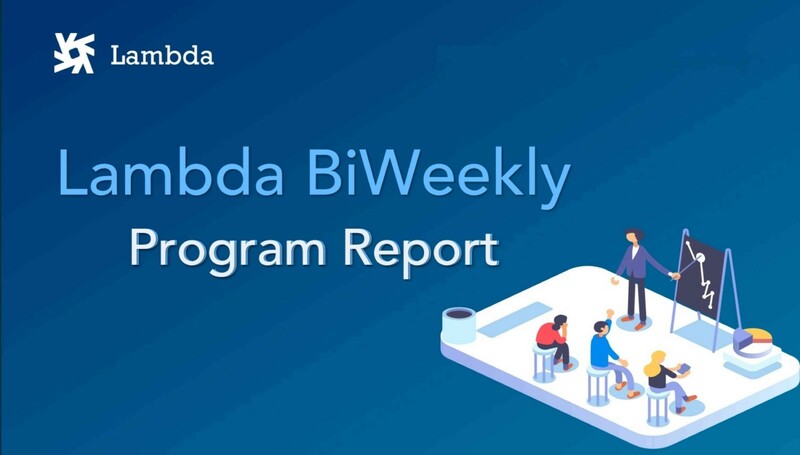 Feb.26th Lambda validator Starblue Blockchain published the WeChat article “ Starblue started the mining journey with Lambda”, which expressed its trust and affirmation to Lambda project. 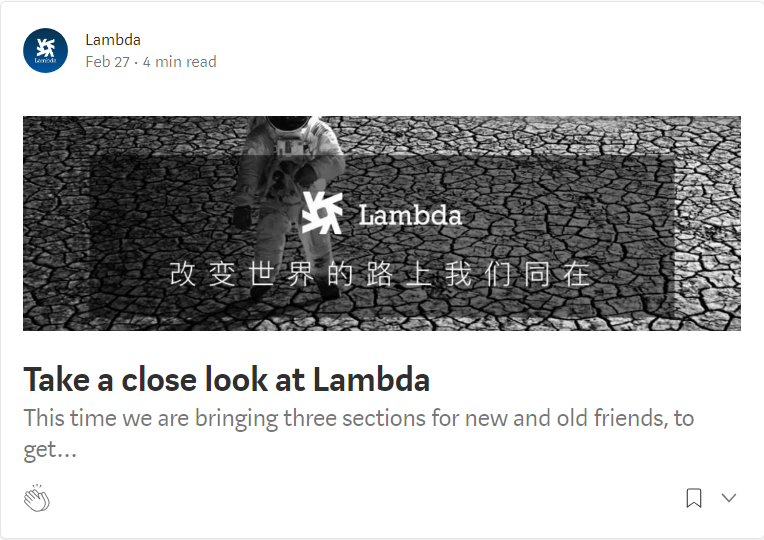 On the same day, Lambda posted one project technical explanation article “Learn about Lambda decentralized storage networks”. 5. 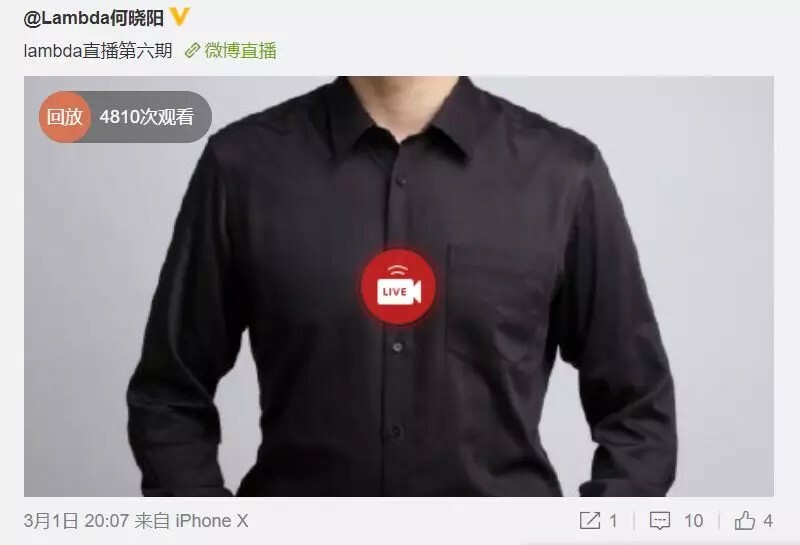 Mar.6th In combination with Alipay Blockchain appeared in Zhejiang TV station’s “Intelligent Future” program, Lambda released one promoting article. 6. 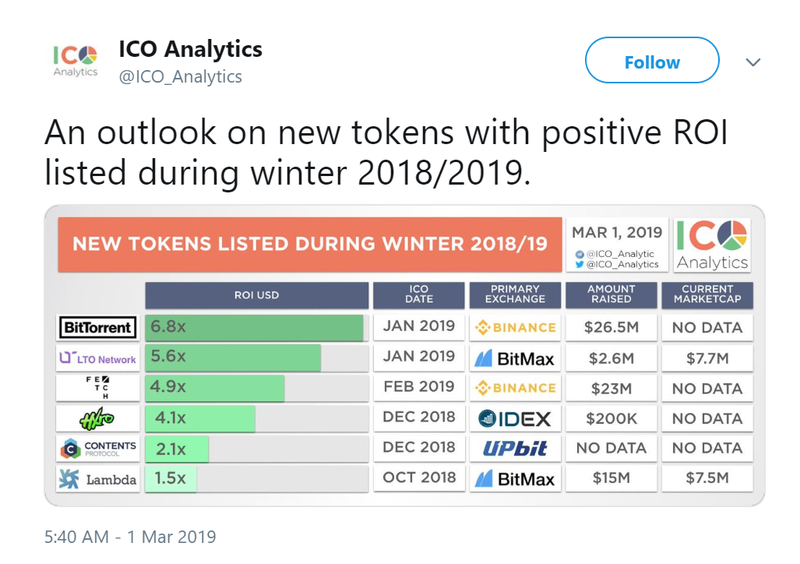 Mar.9th Reuters published “ BitMax.io (BTMX.com) Phenomenal Track Record in Project Listings”, it mentioned Lambda as a famous blockchain-based storage solution disruptor. 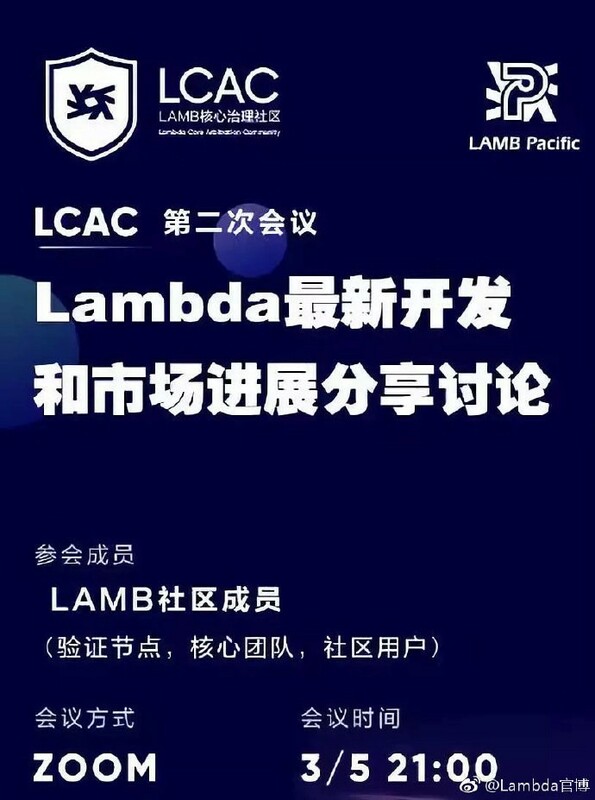 Feb.28th Lambda storage miner campaign phase II started the application. We currently have 38 operational nodes (7 official ones). 5. 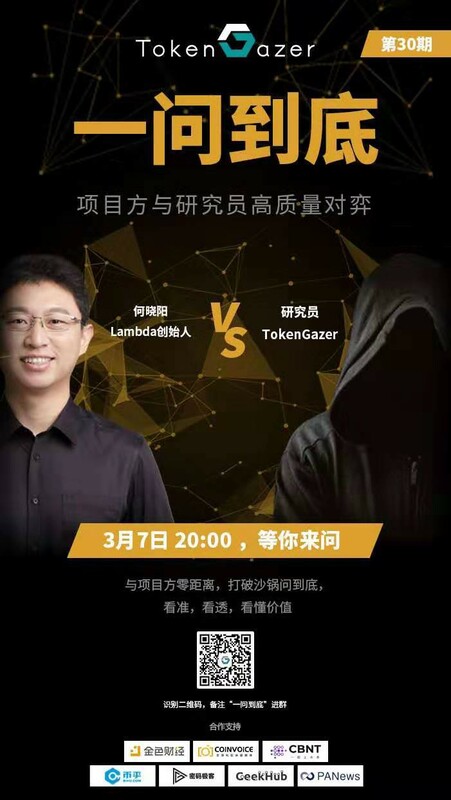 Mar.7th Lambda founder Xiaoyang He participated in a blockchain investment & research institution — TokenGazer community’s “Ask me all questions” activity, had an in-depth debate with researchers and community members to jointly explore the real value of Lambda project and blockchain. 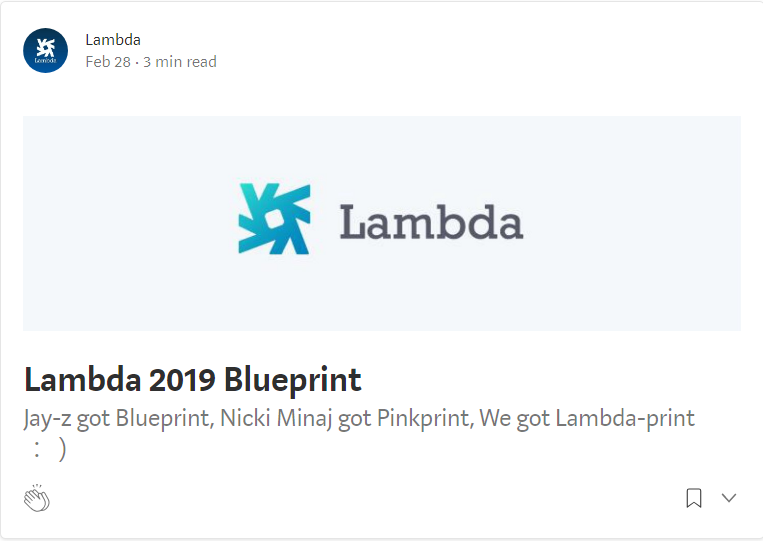 Lambda is a fast, secure and scalable blockchain infrastructure project. A disruptor in blockchain-base storage solution.